A beautiful smile plays a large role in how you feel about yourself and how you feel others view you. When you have cosmetic factors blemishing your smile, it not only makes you feel unattractive, but often makes you appear older than you really are. While many people aren’t satisfied with the appearance of their smile, many are unaware they can fix the flaws using cosmetic dentistry. Cosmetic dentistry offers simple and effective procedures to completely transform the appearance of your smile. 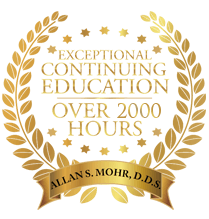 As the best cosmetic dentist in Long Island, Dr. Allan S. Mohr has the credentials and reputation you need for a complete smile makeover. A less than attractive smile plays a larger role in your life than many think. A beautiful smile allows you to appear more youthful, which many people believe is important for how people view you upon first impressions. A first impression is vital to the self-esteem of those who have suffered with confidence issues. Not to mention, many believe an attractive smile has an impact on potential career aspects as an unattractive smile has been linked to limiting certain career options. While many people think cosmetic dentistry is only beneficial for those who have severe factors impacting the appearance of their smile, this isn’t true. Even the simplest of procedures, like teeth whitening, are proven to increase a person’s confidence and how others view them. Cosmetic dentistry offers a plethora of procedures to fix both major and minor imperfections. Whether teeth whitening, implants or veneers are used, we’ll quickly and easily transform your smile. For the most aesthetically pleasing results, you need a dentist who is qualified and specialized in cosmetic dentistry. Dr. Mohr specializes in esthetic dentistry through his extensive training and career accomplishments. Dr. Mohr has completed training at some of the most prestigious training centers, including the Pankey Institute and the Dawson Academy. In addition, he has special knowledge to create stunning smiles through his time as the Section Chief in the Department of Dentistry at the Jamaica Hospital Medical Center and Clinical Associate Professor in the Department of Dentistry at the University Hospital in Stony Brook, New York. 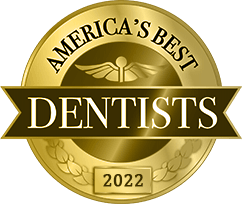 His various achievements and furthered education has earned him recognition as one of “America’s Top Dentists” by the Consumers Research Council of America. With a commitment to create beautiful smiles, he extends his knowledge and services by volunteering with the “Give Back a Smile” program, which was founded by the American Academy of Cosmetic Dentistry. 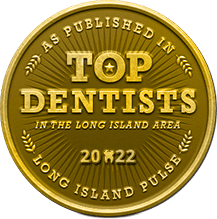 As a leader for cosmetic dentistry excellence, Dr. Mohr is the best cosmetic dentist in Long Island to transform your smile. With a radiant new smile, you’ll experience a higher level of confidence and improved outlook on life. 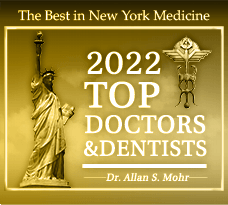 If you’re ready for a smile makeover, call Dr. Mohr today at (516) 541-7344.
by: allanmohr at May 19, 2016 .